Discussion in 'Mayberry Lounge' started by Timetravel_0, Aug 27, 2015. This is one of the best movies I've seen. I always mention it in the best movies no one knows about threads but I've never seen anyone else mention it. Tommy Lee Jones and Barry Pepper have great performances as well as January Jones. So, has anyone else seen it? Never heard of it, but I'll watch anything with Barry Pepper in it. Plus I do enjoy a good western. Seen it, was a great film. 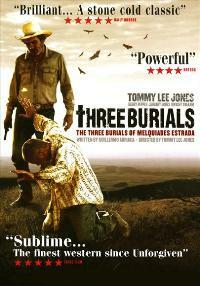 I've seen everything with Tommy Lee and Robert Duvall. Great movie, I usually see it once a month, filmed in West Texas , my home , great dialouge , good acting, pretty acurate as far as border patrol reltionship with Illegals or visa workers. and hey a merle haggard song comes out , not bad! !